Mounted to the original board; labeled "Hedda Hopper" in Carroll's hand, verso on board; signed in ink on the print, recto. Edward Carroll (1919-1978) was a popular portrait and society photographer working in New York, San Francisco and Los Angeles during the 1950s and 60s. Trained as a designer, he worked as an illustrator at MGM in the early 1940s, then a dress designer in New York City before coming to San Francisco and beginning his photography career. Carroll's work was featured in a one-man exhibition at the California Palace of the Legion of Honor museum in San Francisco in 1963. This is a rare photograph, made as a personal portrait for the sitter, not for publicity use. This print comes from the photographer's personal portfolio. Carroll's prints are beautifully crafted and printed, and have considerably more presence in person than is visible on the digital reproduced here. Very good; some minor surface markings and scuffs. 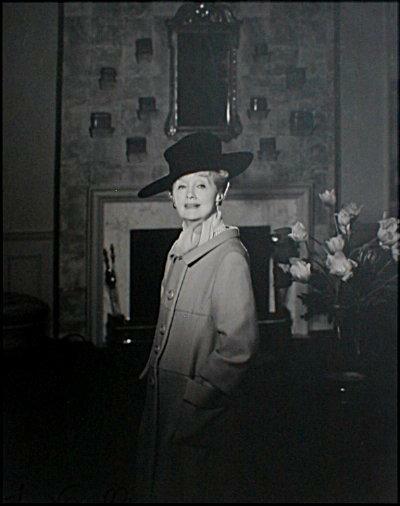 Items Similar To "Portrait of Hedda Hopper by Edward Carroll "